Note: This is an edited version of a homily given at Farm Church on Oct 21, 2018. 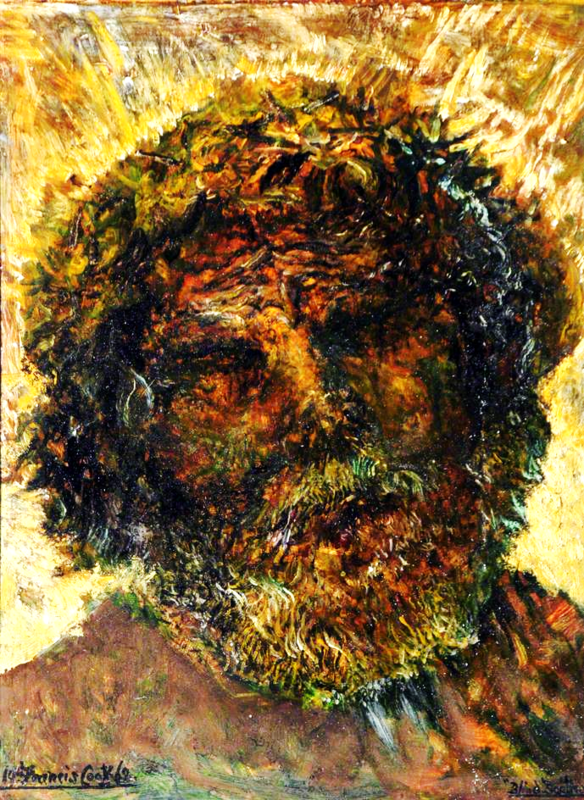 Right: Francis Ferdinand Maurice Cook, “Head of an Apostle (Blind Bartimaeus),” 1962 (https://artuk.org/). We have, from time to time, used the sermon time of our Farm Church gatherings to learn more about one of us, in the spirit of “biography as theology.” I’ve had the pleasure of interviewing several of you for this. Today it’s my turn, for two reasons.